A natural softener facilitating the removal of hardened earwax. PLEASE NOTE: Prices on this page are subject to change without notice. OTOSAN is continuously researching natural remedies to improve health in harmony with nature. OTOSAN NATURAL EAR DROPS derive from this. A natural detergent from an ancient herbal recipe combines the cleansing and balsamic actions of three essential oils with the soothing and softening properties of sweet almond oil. A few drops of OTOSAN NATURAL EAR DROPS regularly applied, prevent an excessive formation of ear-wax and assure the ear a correct preventive hygiene. This product is ideal for improving ear care in children, adults and wearers of hearing prosthesis as they do not dry up the skin and respect the natural sebaceous physiological balance. Bend your head and pour 3-5 drops of Otosan Natural Ear Drops into the ear. Pay attention not to insert the dropping bottle into the ear. Allow the drops to act for at least 15-20 minutes by holding your head bent or by putting some cotton wool within the ear. 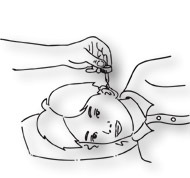 Then gently clean the auricle. It is advised to treat both ears a time. Once a week to prevent earwax accumulation. Twice per day for 3-4 days to treat wax-plugs. If problem persists, ask for medical advice. 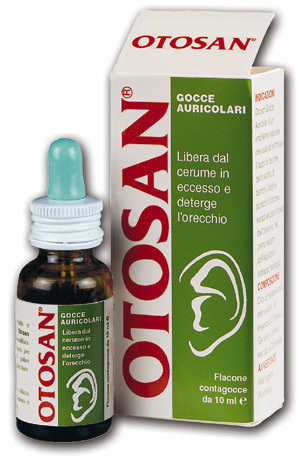 It is recommended to use the OTOSAN NATURAL EAR DROPS together with the OTOSAN ear-care CONE. In this case, pour the drops, allow them to act for some hours or -even better all night long- then treat the ears with the OTOSAN cone . To make a payment by credit card, click on the appropriate button by your product. 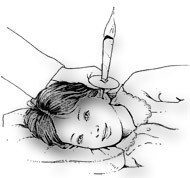 Natural Hopi Ear Candles Ancient Therapy of Ear Candling. Made of 100% pure natural beeswax, & pure natural essential oils. Wholesale prices. Great value for money. Made in E.U. BioSun Hopi EarCandles - Hopi Earcandles use only pure beeswax, honey extract and traditional herbs such as Sage, St. John's Wort, Camomile and pure essential oils. The Otosan Ear Cone is 100% natural and contains propolis which acts as a natural antibiotic, reinforcing the body's defences and fighting viruses and bacteria.CE Marked. 'Hopi Candles' by Jili Hamilton This is the first book that deals in depth with Hopi Ear Candles as Jili Hamilton brings us the benefit of her experience, together with numerous anecdotes from her clients.